Boating for many people is not just a fun, occasional activity. It is a lifestyle replete with the kinds of trappings and trimmings that can make any gearhead giddy. Whether the loved one or friend in your life has a plethora of boating items already, or they are just beginning to cultivate a love of all things boating, there is a perfect present for every budget. Here are ten great options that the boater in your life, no matter who they are, may love. 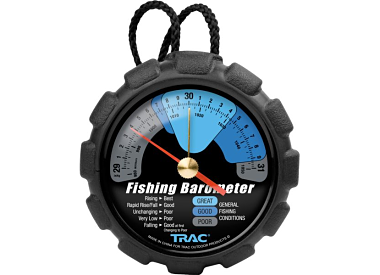 The Cabela’s Fishing Barometer is a portable barometer that can be brought on any trip on the water. It has two needles, one to set when you leave, and one to see if conditions are changing. The barometer gauge’s background is simplified into Good, Great, and Poor conditions to help you prepare for upcoming storms or changing wind conditions. This is a great beginner’s barometer, and priced well at $16.99. Moisture is a fight that every boater must face on a regular basis. Boats that are stored during the cold and wet of winter are especially at risk for water damage, mold, and mildew. The Eva-Dry 333 Mini Dehumidifier is designed to be compact and battery-free, and to dehumidify small spaces up to 333 square feet. The dehumidifier will work 20-30 days before renewing, and runs about $20. 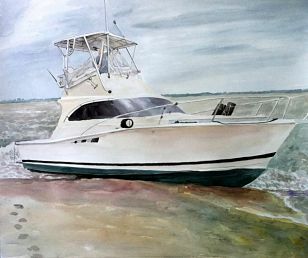 If art and boats are your boater’s two great loves, consider making the boat the focus of artwork. If you have a great photo of the boat, it can be enlarged and framed professionally, or photo-creation websites like Snapfish will turn an uploaded picture into a wide variety of mugs, canvas prints, blankets, or other gift ideas. If you like your art a little more traditional, consider hiring an artist to commission a painting. Local artists can be found in places like farmers markets and art fairs, or you can check with nearby art schools. If you are having a hard time finding the right artist, websites like PaintYourLife will take your photo and create the oil painting, pencil drawing, or watercolor of your dreams in varying sizes. Depending on the product and the artist, prices can range from just a few dollars into the thousands. Boating can be a great family activity, though getting some of the smaller or elderly family members on board can sometimes be difficult. Though many docks will offer stairs that can help get a passenger on board a boat with higher sides, they are large and clumsy to bring with you to distant ports. 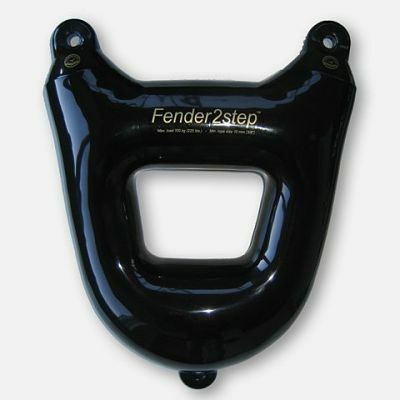 An easier solution exists in the Fender2Step Boat Fender, which can be found in either a one-step or two-step version. These inflatable steps are designed with two fasten points to tie, like a fender, to the cleats of a boat, and offer instant and portable accessibility. They are economical, running between $79-99, and are available in four colors to match your boat fenders. Personal flotation devices are a staple of every boating excursion. However, the bulkiness of many designs sometimes keeps them in storage rather than on bodies. Inflatable PFDs are a great alternative to this, and often come in styles that are less obtrusive to natural motion. If you spend a lot of time on deck in questionable seas, or on portions of the boat that are slippery and not designed for easy walking, this is a great option for keeping safe and comfortable together. Inflatable PFDs work with a hydrostatically controlled container of compressed gas that will expand into the jacket, vest, or suspenders when it hits water. Stormy Seas sells a number of inflatable vests and jackets that are inflatable and run between $100 and $250. Mustang also sells a variety of inflatable PFDs that run in about the same price range, and may include a safety harness for stormy conditions. 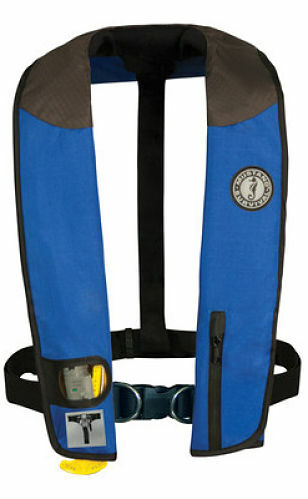 Be certain to check that the type of PFD you use is rated for your boat and water. Visibility is an important aspect of boating. In some places, the regular appearance of logs, animals, fishing nets, and other items can make night boating similar to a game of Russian roulette for your propeller. Luckily, the last few years have offered new technology options to see what you cannot see. 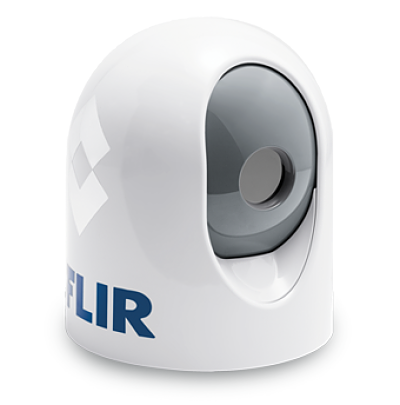 Night-vision cameras can now hook directly into your navigation equipment and give you a forward-facing view of what is in the water ahead. If this is not enough, there is the option of purchasing a lateral sonar device, which is similar to a fishfinder that looks sideways instead of downward for items. These items are not inexpensive, and range between $3,000-10,000. However, the peace of mind and potential prop and hull damage saved can be invaluable. Music and boating has not always been the easiest combination. Older technologies like CDs can skip, and larger bodies of water do not always have the best radio reception. If this sounds like the boat that your family has, and the cost of a new stereo system seems prohibitive, do not worry. 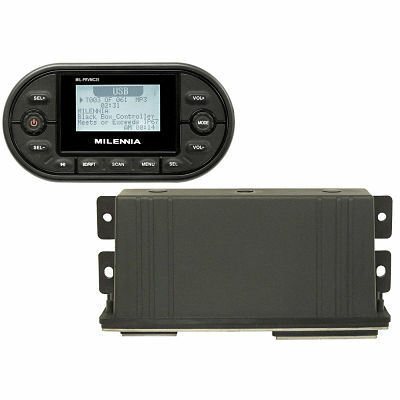 Older boats can get a digital upgrade with a Millenia USB port iPod controller. This allows stereo systems to get full access to everyone’s playlist. Not only does this offer new music choices when you are boating far from radio reception, it gives everyone in your family a turn to play deejay. These models run between $75-99, but if having one means that the teens in your family will suddenly boat with you, then this is a priceless choice. Preparation is always a great idea for any boater. If you have a new (or disorganized) sailor in your life, the APS Pro Sail Repair Kit is a good choice to help them stay prepared. 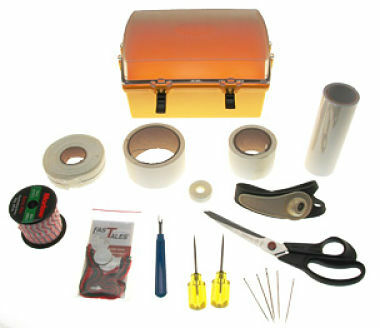 The kit comes in a waterproof, floating utility case, and includes all of the hand-sewing tools that are needed to repair a small tear in a sail, like a seam ripper, shears, repair tapes, sailmaker’s needles, awl, polyester webbing, and much more. It is priced around $170, and the peace of mind that a sail repair kit offers can ensure that every sailing trip will stay merry. Fishermen are known for having every gadget imaginable to get the best advantage in finding and locating fish. If you are not a fisherman, it can seem overwhelming to choose the right items for your loved one that will work for the kind of fishing that they do. 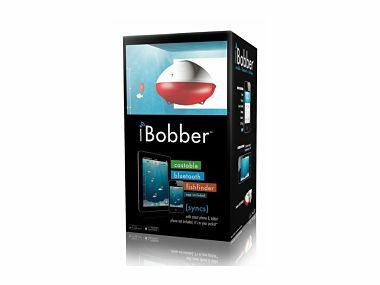 One fun possibility is the iBobber Castable Smart Fishfinder. These bobbers work great for trollers, as the sonar goes directly below a line and shows 135 feet below each line that they are connected to, or for anyone who does not have a fish finder on their boat. The signal works wirelessly, and syncs with most tablets and smart phones. Whether you are using multiple lines to cover a larger area to look for fish, or if you just want to know which lines are most likely to have luck, iBobbers are a great way to increase your knowledge of the ground beneath you. There is a hotspot-logging feature that will record the GPS coordinates of high-activity areas, and allow you to have a working fish finder no matter your boat size. The illumination feature will also enhance night fishing opportunities. If the woodworker in your life cannot get enough time in the shop or on the water, consider a custom wooden kayak building kit from Pygmy. 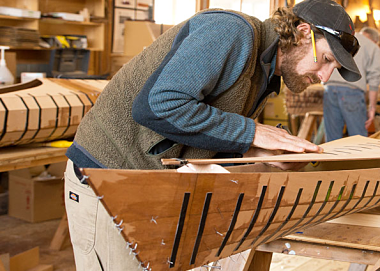 This Seattle-based company is consistently rated one of the best boatbuilding kits on the market, and comes with everything you need to make a beautiful quality boat. There are several options of kayaks, skiffs, and canoes designed to fit any water conditions and one to three passengers. Kits run between $1,000-1,500. For those who like boater gatherings, Pygmy owners do an annual Paddle to Seattle to show off the seaworthiness and beauty of their handmade boats. Whether you live in an area that has year-round boating, or if winter is the time to dream of the spring retrieval of your winterized boat, the holidays are a great time to give boating gifts. Not only are you giving a practical gift that is more useful than yet another tie or pair of reindeer socks, but you are fueling the dream of many more days on the water in the following year.